If you are a teacher, then you know there is no kind of tired like back to school tired. Well I'm here to share a few tips for making your teacher life a little easier! It happens every year. There is always at least one student who shows up the first day of school without any school supplies. Save some precious first day of school minutes by pre-making several supply boxes that will be easy to grab and give to students who need them. I've been using this one for years. I use small velcro dots to attach my student name tags to their desk. I attach these cheat sheets to the back before I laminate them so that students can easily access how to correctly spell number words throughout the year. This is a new addition to my classroom this year. 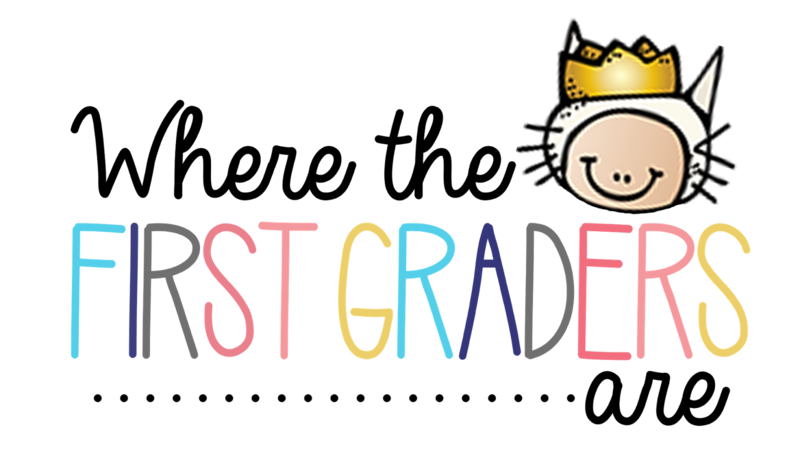 I wanted something that would be easy for myself and other teachers (substitutes) to find. I saw this amazingly cute idea on Instagram one day and decided this was exactly what I needed! 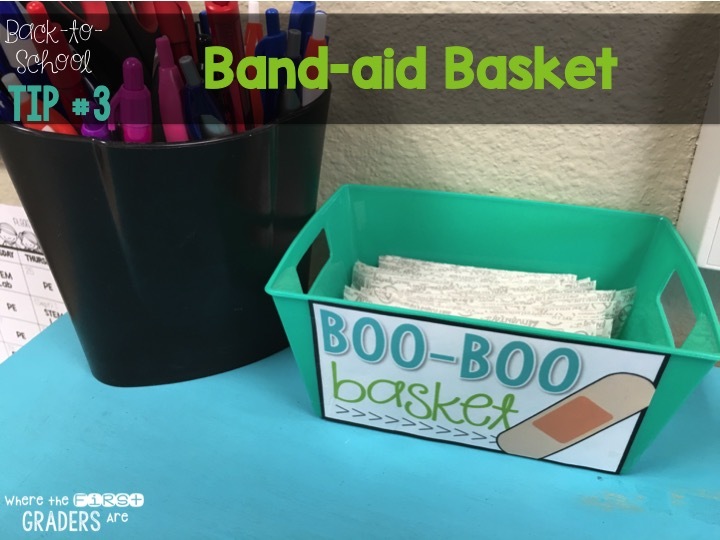 One dollar store basket and cute label later, I was done! 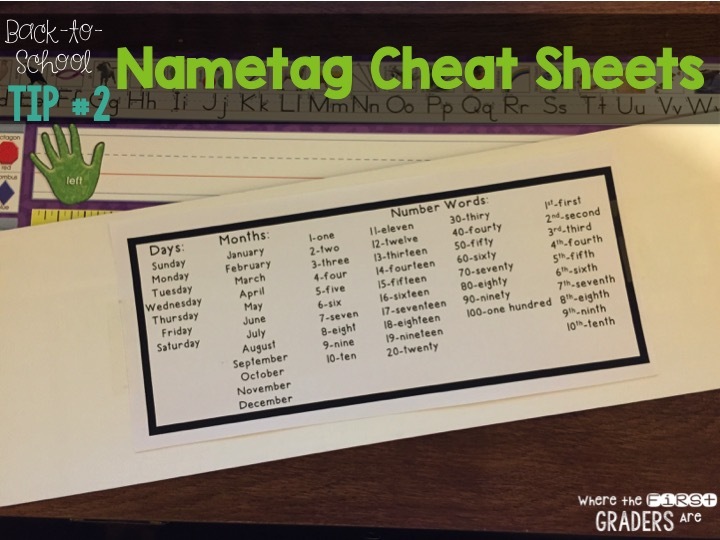 A few years ago, I started using number labels for several things in my classroom rather than re-making student name labels over and over. I realized that calendar numbers were PERFECT for labeling things because I only needed numbers 1-22, and calendar numbers come in sets up to 31! 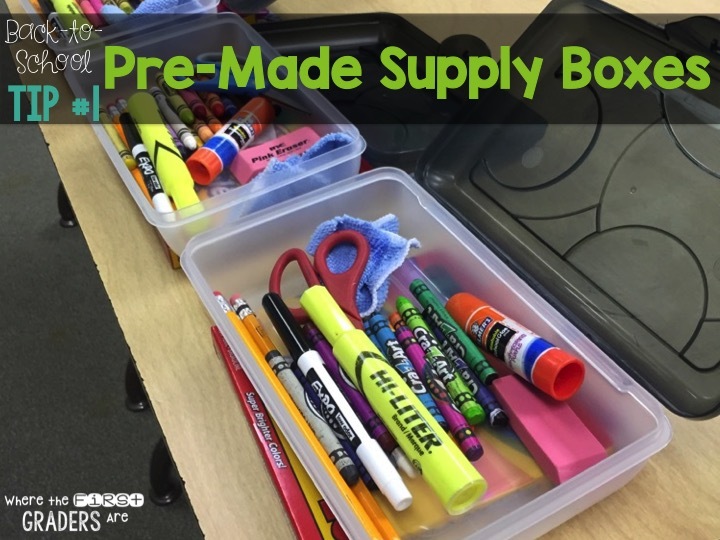 My favorite place to use them is in my students' backpack cubbies! We've all been there... "Mrs. Sullins, how do you spell ______'s name?". Now, I put my students' names on my word wall from day one. 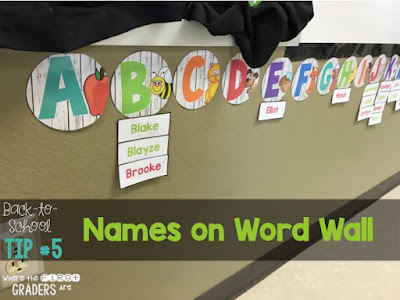 Not only does it help other students spell, but it also gives students a little more ownership of the room from the very first time they walk in the door. An added bonus is being able to use the word wall as a graph and compare which letters have the most names, how many more b's than e's, etc. 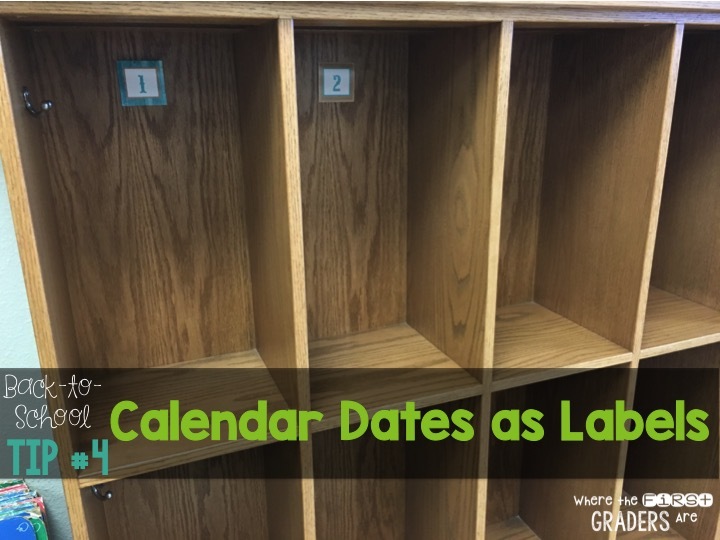 Like I mentioned earlier, I started using student numbers for several things in my classroom. One thing in particular is writing students' numbers on their markers. It is a little time consuming at first, but it saves so much time later on. When we find a blue marker rolling around on the floor, all we have to do is look at the number and know who it belongs to. 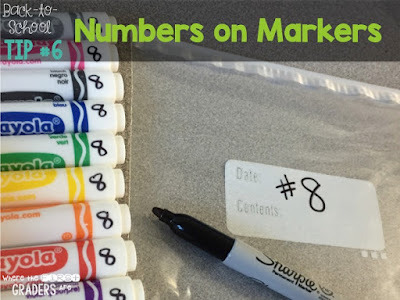 I also write their number on the ziploc bag we use to store our markers in. 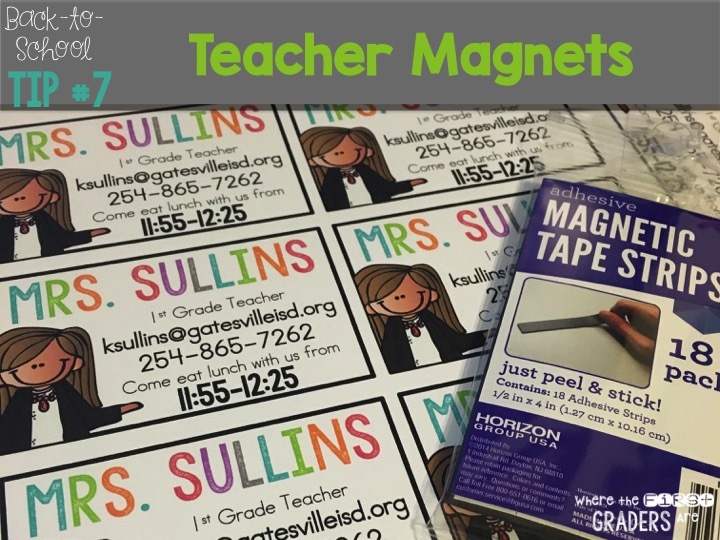 I make teacher magnets for my families every year and send them home on Meet the Teacher night. It's nothing fancy. I print my design, laminate it and attach a small piece of magnetic tape on the back. My favorite feature of these magnets is our lunch time so that parents can easily find what time they can come eat with their student! 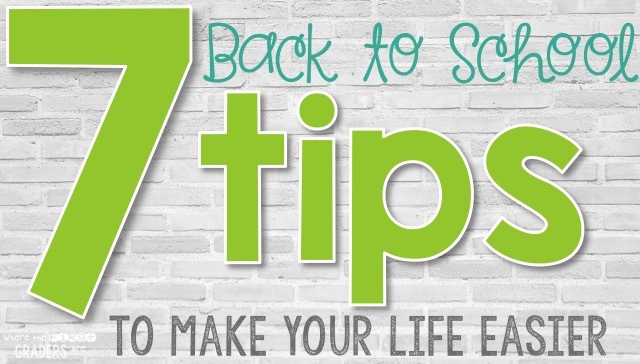 I hope you've enjoyed my 7 tips for Back to School!! What's your favorite back to school tip?